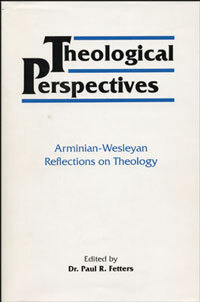 Theological Perspectives, subtitled “Arminian-Wesleyan Reflections on Theology,” was written by a group of United Brethren ministers as a contribution to the greater evangelical world within the Arminian-Wesleyan persuasion. The 740-page book has a total of 23 chapters divided into six sections. The book was edited by Dr. Paul R. Fetters, former dean of the Huntington College Graduate School of Christian Ministries.